Yes, you read that right – I finally have an incentive for you to check out my posts. Disclaimer: I was sent free Hemp Hearts in exchange for this post and review. But now you have a chance to score some of your own! He thinks it’s for him. As I’ve said before, I’m a big fan of plant-based protein wherever I can get it! Hemp being the #1 most complete plant protein you can buy (as well as one of the rarest in reefer madness America), I was sure to let my favorite Canadian brand know that I was in the blogging game, and ready to tell the world all about their awesome and tasty products. Manitoba Harvest makes a number of different hemp products, including powdered protein and fiber supplements, but in my opinion their most fun and tasty offering is Hemp Hearts, or shelled hemp seeds. Hemp seeds are tough, but with the hard shell removed, the nutty interior makes for an outstanding topping for salads, fruit, oatmeal or cold cereal. You can also bake with it…goes great with cream cheese on top of a fudgy brownie, or baked right in. Maybe save that one for cheat day. Just a 3 tablespoons serving of Hemp Hearts gives you 10 grams of protein and 3 grams of fiber. Personally, I like to slather a banana with peanut butter and dip it right into the bag. Or better yet, put together a peanut butter and banana sandwich, and add the Hemp Hearts. Either way, your regular snack time just got a lot more nutritious. 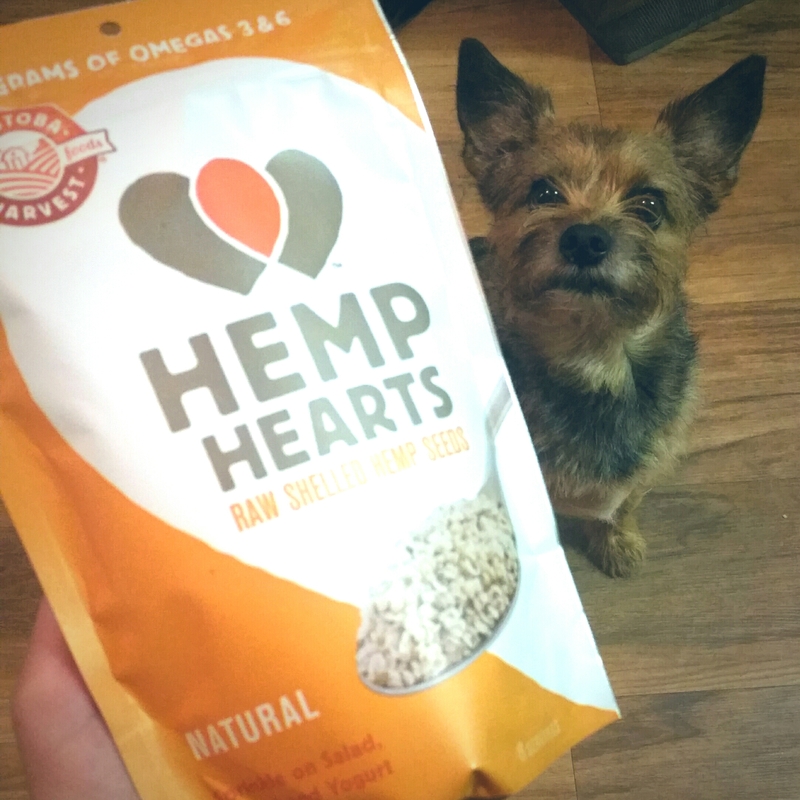 I have an 8oz bag of Hemp Hearts to give away to one lucky reader!! Since I know I don’t have a ton of readers yet, I’ll let this play out for a few weeks. Contest ends June 25. Enter on my Facebook Page!!!! NOMS!! Hemp hearts on the banana, yum! So good Chelsea!! Make sure you enter the sweeps if you have Facebook!! I would put it on smoothies. I love them in oatmeal Thanks for the chance! Pingback: Checking in + HEMP HEARTS Winner! | Herbs & Spices. Next Next post: Checking in + HEMP HEARTS Winner!